Study: More rabbis are saying ‘I do’ to interfaith weddings – J. Though once rare, today a number of Bay Area rabbis officiate interfaith marriages, and some also co-officiate alongside ministers, priests and other non-Jewish clergy. A new study by InterfaithFamily, which surveyed 881 American rabbis on their officiation practices, shows that interfaith officiation is becoming more common, almost doubling among Reform and Reconstructionist rabbis over the last 20-odd years. Members of the Reform movement’s Central Conference of American Rabbis and the Reconstructionist Rabbinical Association made up the majority of respondents. InterfaithFamily, an organization that supports interfaith engagement in Jewish life, surveyed 500 members of the CCAR (comprising 23 percent of its membership) and 149 rabbis from the RRA (44 percent of its membership). No denomination officially supports co-officiating. 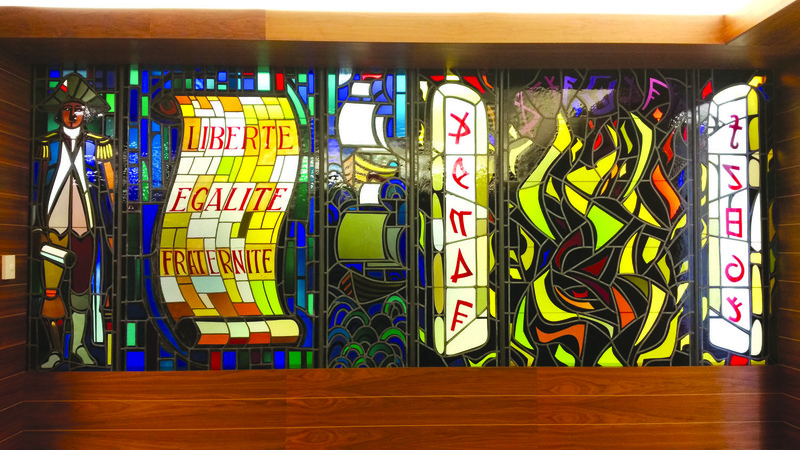 The Reform and Reconstructionist movements give rabbis autonomy on interfaith officiating. The Conservative movement does not permit interfaith officiating, although a limited number of rabbis choose to do so. Respondents also came from members of the Renewal (64), Conservative (59) and Humanistic (8) movements, as well as the pluralistic Academy for Jewish Religion in New York (19) and California (16). Rabbi Samantha Kahn, director of InterfaithFamily Bay Area, said the findings are not surprising in the Bay Area, where interfaith relationships are more common, but speculated that they might come as a shock in her former, more traditional community in Houston. The last such survey was conducted in 1995. At the time, 47 percent of CCAR and RRA respondents combined said they would officiate interfaith marriages, and only 13 percent would co-officiate. 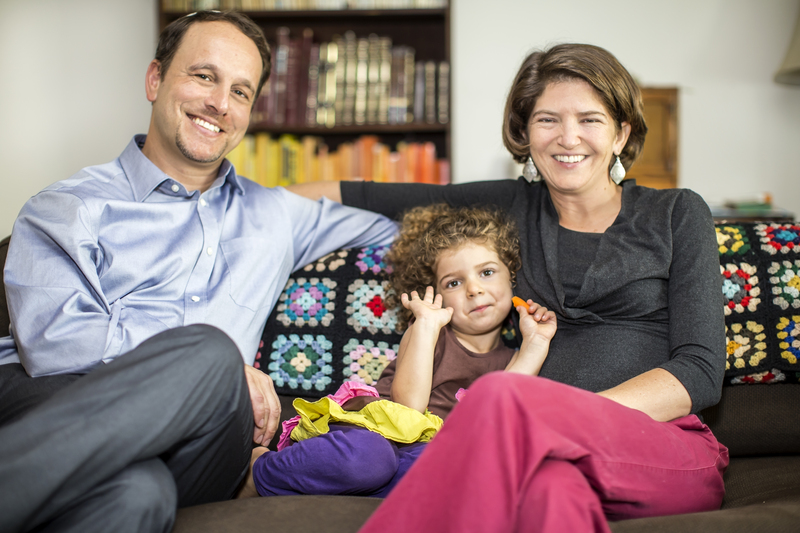 Rabbi Mychal Copeland, who was ordained Reconstructionist and now leads S.F. Reform Congregation Sha’ar Zahav, was among the 47 respondents from the Bay Area and Sacramento. Copeland answered the survey in 2017 while still director of InterfaithFamily Bay Area. In a recent interview with J., she said officiating at intermarriages lets her establish a relationship with the couple so she can be in a position to guide conversations about living an interfaith life and raising Jewish children, a relatively “uncharted” path. In an age where just about anyone can go online and become a wedding officiant, precluding the need for a rabbi entirely, Copeland says, she sees a couple’s request for her services as a positive sign that “clearly Judaism is important to them.” The RRA does not allow co-officiation, but Copeland says if that should change, she will be on board. 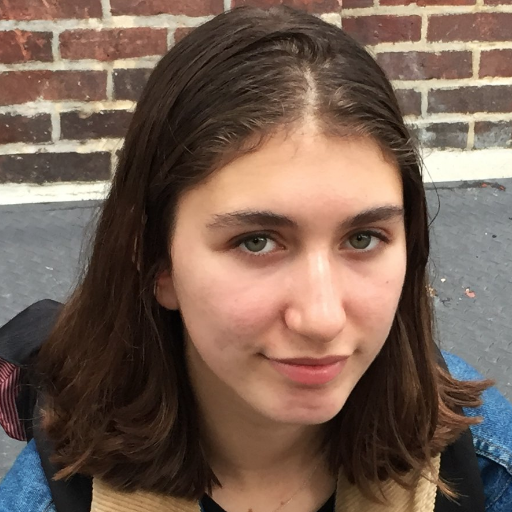 “My jaw dropped, and I had no idea what to do,” Cahn said. Since then she has declined to co-officiate with Catholic priests, whose traditions may be less flexible than others. 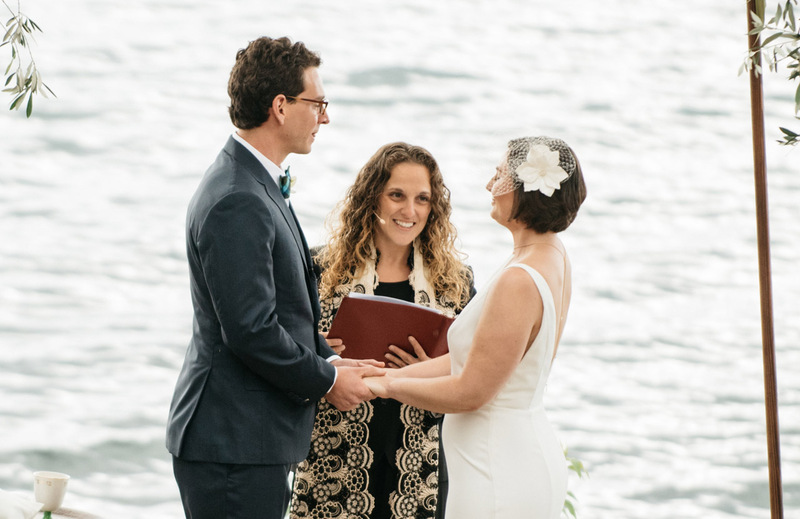 Rabbi Jonathan Prosnit of Congregation Beth Am in Los Altos Hills said he officiates interfaith marriages because he believes they enrich his congregation overall. There are ways to honor both heritages, he said. He officiated a wedding recently where the non-Jewish groom had very strong Italian heritage, so the couple used an Italian design for their ketubah. While many rabbis in the survey say they are comfortable officiating and co-officiating — “I changed my position 5 years into my rabbinate because I saw so many interfaith couples who create loving Jewish homes and families,” one commented — 59 percent say they require the couple to commit to keeping a Jewish home and/or raising their Jewish children. This figure is up from 43 percent in the 1995 survey. I changed my because I saw so many interfaith couples who create loving Jewish homes and families. Copeland, however, does not ask for such a commitment. Cahn does not ask for a commitment, either. Even though Prosnit acknowledges that asking for a commitment doesn’t necessarily ensure one, he still does so before officiating an interfaith wedding. “It’s important to me when I work with a couple that they’re committed to being part of a Jewish community,” he said. Prosnit, Copeland and Cahn all suggested that the survey findings reflect how rabbis are acclimating to the new normal. “On some level it’s the reality of who’s getting married to who,” Prosnit said. Nor does Copeland believe that a rabbi’s willingness to officiate sanctions interfaith marriages. She sees it the other way around. Four views: Is interfaith outreach still necessary?